I'd originally started reading this book a few years ago but gave up after a while. It was hard to get into it with many references that seemed too vague for me then. A couple of weeks ago I read "The Talisman" and felt ready to have another go with "Black House". I'm familiar with the Dark Tower series (having read the whole thing twice), so I was no longer worried about potential vagueness in this novel. It's another book co-written with Peter Straub and it seemed to me that their work was even more efficient this time. I've mentioned in my previous note on "The Talisman" that the narration feels different than in a typical King's work. Here it's even pushed further with the narrator literally inviting the reader on a journey and entering a very peculiar kind of dialogue. At first it put me off but after a while I got used to this style and in the end I see it as one of the book's major strengths. Another thing that makes this book unique is the frequent occurrence of seemingly incomprehensible words. Words such as Abbalah, Gorg, Coppiceman, or Opoponax. They enter the discourse early on and at first seem to be random ramblings of mad people but later on they grow in significance. They resonate throughout the whole story and nicely play on the idea of the mysterious unknown. The story itself is not overly complicated. There's a mysterious murderer stalking his prey in the city of French Landing. His main targets are children. What makes it even worse, the bodies of Fisherman's victims show traces of cannibalism. The murderer has been surprisingly successful in evading the local police.They become desperate and ask one of the new residents for help. The man is enjoying his early retirement after an impressive career in Santa Monica PD, where he became almost a legend. The man's name is Jack Sawyer and he's the same person who traveled across the US and the Territories when he was a child. The story of Travelin' Jack is well known to the reader but the man has repressed his childhood memories and has no recollection of this period of his life (I can't help but notice how this story is reused in "Doctor Sleep"). His gradual immersion back into the Territories and acknowledgement of the past for a significant and, unfortunately quite predictable, part of the story. The mood of "Dark House" is dark and rotten, sometimes even filthy. French Landing doesn't seem like a friendly place at any moment in the novel. The atmosphere is tense and people who have been victimized by the terror of the Fishermen are constantly on edge. There are quite a few less than likable characters here. And the infamous Black House becomes an almost organic symbol of what's bad. This is counterbalanced by a handful of positive characters, Jack's best friend Henry (who is blind but sees more than he admits) being the most memorable for me. Overall, the book is a good read for those who have read "The Talisman" and are at least familiar with the "Dark Tower" series. 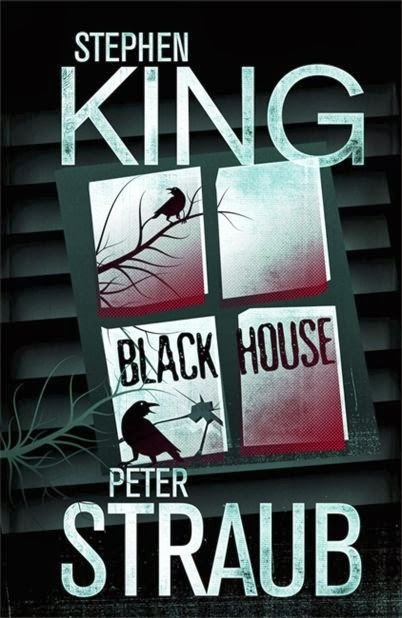 The narration is exceptional but the story and pacing make the "Black House" a decent, but not spectacular novel.